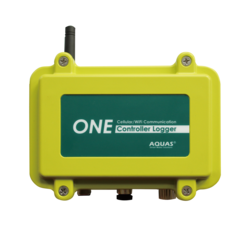 Aquas Inc. Taiwan based Manufacturer of smart integrated sensors, telemetry systems, and cloud-based SCADA and data management systems used in the water, gas, environment, infrastructure, industries at thousands of sites across the globe. Our products are all designed for accuracy, reliability, flexibility, ease of use and low maintenance. All manufacturing processes follows the highest industrial standards and certificated by ISO9001. More than 20 years experiences and tens of thousands systems installed in cities around the world, AQUAS has created a truly unique suite of field proven technologies that are unmatched in the industry including battery powered, rugged and all-weather, plug-and-play sensors, real-time telemetry systems, and cloud- based SCADA servers. Analytical Instrument have been developed especially for the use in liquids for pressure, differential pressure, hydrostatic level and water quality measurement such as free chlorine, pH, ORP, temperature, conductivity, TDS, dissolved oxygen, turbidity, salinity, suspended solid, ammonium, humidity and barometer, analog input, digital input, counter input, digital output, vibration wire input, valve position,vibration...etc. Stingray 2.0 is a compact, battery-powered logger with an ultrasonic sensor. It data logs level, velocity and water temperature readings for flow monitoring through open channels, partially full sewer pipes and surcharged pipes. Use it for flow surveys, I I studies, stormwater, irrigation water and sewage. 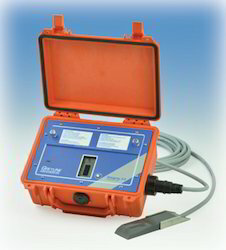 Looking for water monitoring system ?